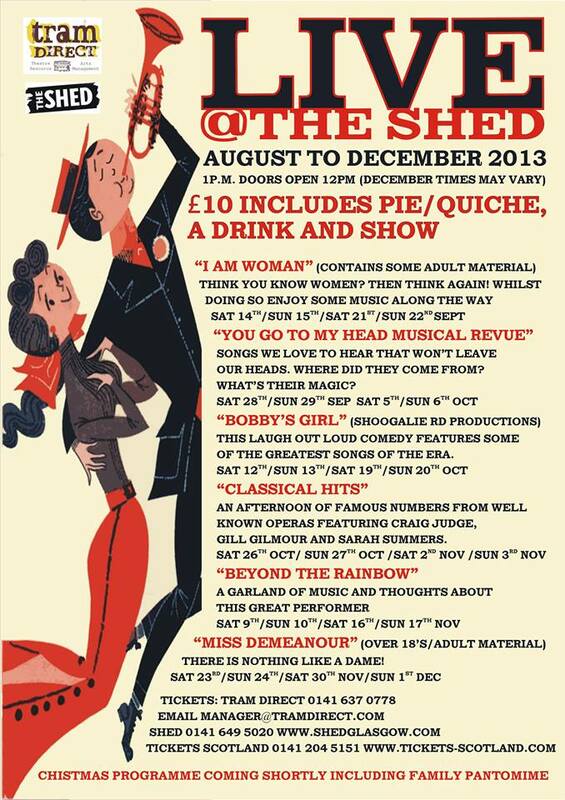 This new cabaret show from Tram Direct is the latest offering in the fledgling Live@TheShed lunchtime theatre programme. You Go to My Head takes us on a trip back in time to the golden age of the Hollywood musical. Presenting an hour choc-full of classic tunes, it not only endeavours to entertain but educate a little too. The songs are entertainingly interspersed with information about the origins of each song and some biographical detail about the colourful lives of their composers. There’s even a bit of a musical theatre quiz thrown in to keep the audience on its toes. The three engaging performers: Reaghan Reilly, Filipa Fallow and Liam Lambie, keep the proceedings going apace and their complimentary voices make for an interesting and varied show. The programme is a pleasing mix of solos, duets and company numbers and the block-busting musicals represented include: Kiss Me Kate, Guys and Dolls, Hello Dolly, Gentlemen Prefer Blondes and Showboat. There are changes of pace and tone throughout with ballads, big show-stoppers and some comedy to lighten the mood. There is something for everyone here, there are even some big songs from unknown shows which have in turn become pop standards: “Baby It’s Cold Outside” and “You Don’t Bring Me Flowers” to name a few. Particular highlights include Reilly’s spirited rendition of “I Hate Men”, Lambie’s “Luck be a Lady Tonight” and Fallow and Reilly’s duet on “A Bushel and a Peck”. As well as delivering high quality, entertaining and original shows which give new and young performers a platform to showcase their talents, Live@TheShed brings theatre right to the doorstep of residents in the south side of Glasgow. With a drink and a snack lunch thrown in for the ticket price it really is a winner.